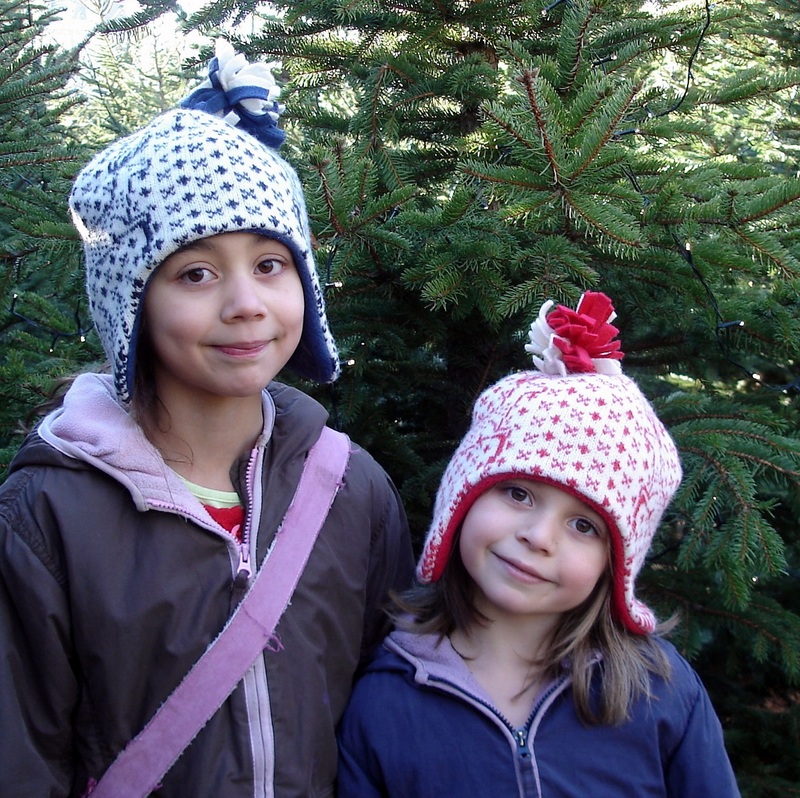 The Reindeer Hat is a non-personalised version of my popular Personalised Reindeer Hat. 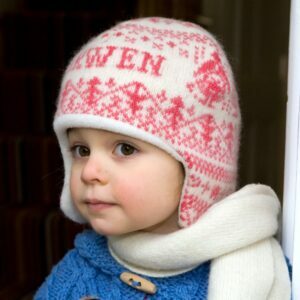 This hat is very warm and cosy, knitted and felted in wool/cotton and lined with soft polyester fleece. The traditional wintery design features reindeer and snowflakes. 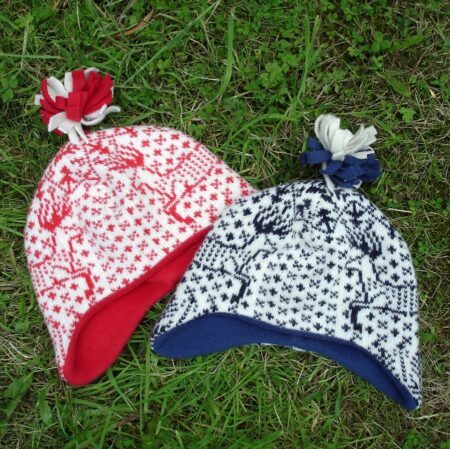 Available in navy/cream and scarlet/cream with matching bobble. 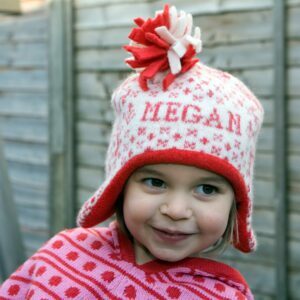 The smaller sizes are lined with cream fleece, while the larger sizes (12-24 months upwards) are lined in navy or scarlet fleece. 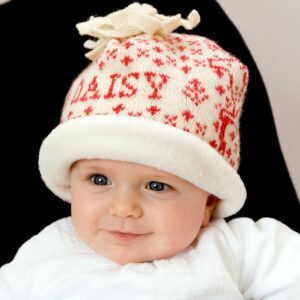 In a range of sizes from 0-3 months to 8-12 years, this hat will keep everyone’s ears warm!